What's New: BH Cosmetics Luxe Lacquer Vivid Color Lipstick | Top Beauty Blog in the Philippines covering Makeup Reviews, Swatches, Skincare and More! 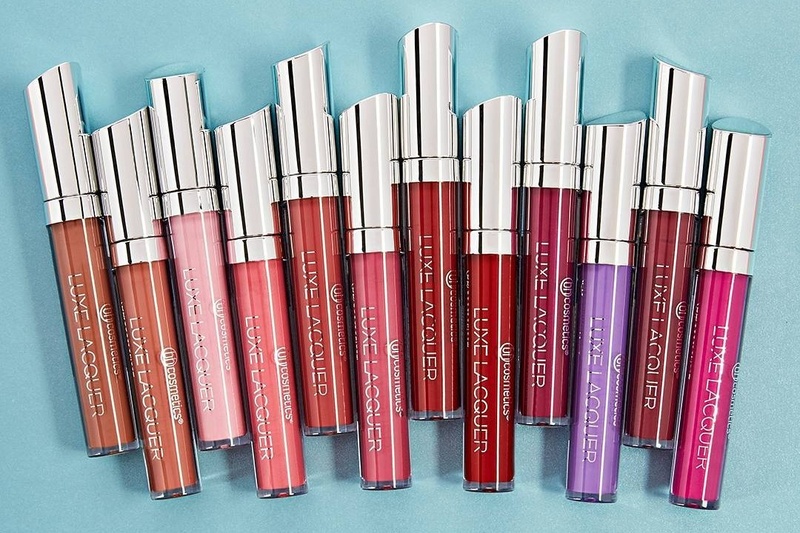 Loving this new line of liquid lipstick from BH Cosmetics called Luxe Lacquer ($7.00). If you are looking for a pigment-packed gloss-lipstick hybrid that glides on ultra-creamy with a dazzling high-shine finish, be sure to check this one out. What's amazing about this product (aside from it's affordable price) is that it contains nourishing aloe vera, coconut and olive oils, plus antioxidant CoQ10, which provides anti-aging benefits. It's available in 12 stunning shades – from nudes and pinks to fuchsia and scarlet. I so want to try the coconut one. Hi, I'd like to purchase a few luxe laquer in Champagne Cherry, please.